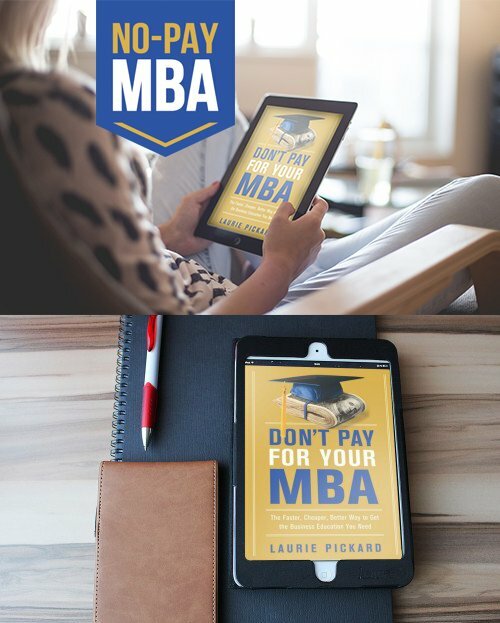 So did you get an MBA degree? This is the question I field most frequently when I tell people that I created my own business education program using MOOCs and then wrote a book about it. While I did get a fabulous business education, I did not get an MBA degree. I also didn’t get buried under a mountain of debt, nor did I waste time (or money) in classes that weren’t interesting or relevant to my career ambitions. Perhaps you’ve considered taking a few business MOOCs, or even undertaking a complete MBA-style education as I did. If so, then you may also be wondering whether it makes sense to pursue an education that doesn’t come with that piece of paper. 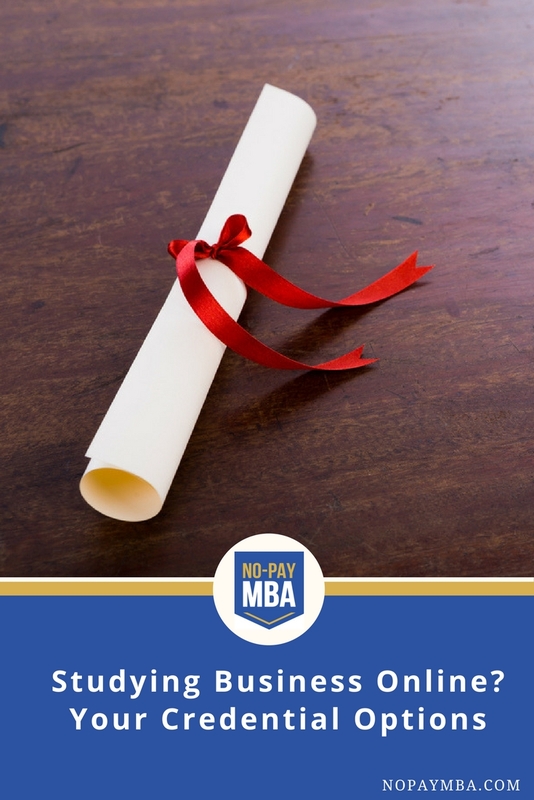 Here are the top five reasons why a No-Pay MBA made sense for me, even without a degree. Reason #1: I am confident in my ability to present my No-Pay MBA as a legitimate part of my education. While some employers might not consider my resume due to the fact that I don’t have a true MBA, I expect that many will be intrigued by my choice to pursue an unconventional learning path. But don’t take my word for it, see this letter from CEO Mark Olvito. Once I get an interview, I’ll be happy to demonstrate my business skills and savvy. I also have my website to back me up – but you wouldn’t need a whole website to showcase your learning. A strong portfolio would probably do the trick. Reason #2: Given m personal career ambitions, the investment in a traditional MBA wouldn’t have paid off. I can certainly understand the financial case for getting an MBA, especially for people with very specific goals or people who want to enter certain industries (e.g. finance, consulting). But my situation is a little different. My career thus far is in international development – not known for salaries of the kind that make an MBA investment worthwhile. I enjoy this work and the opportunity it provides to have a globe-spanning career. Now that I have finished my No-Pay MBA, I plan to follow a more entrepreneurial path. Being debt-free leaves me open to riskier options, such as starting my own business or working for a startup. I am happy not to be saddled with a debt burden that constrains my choices. And I’ve done my homework. 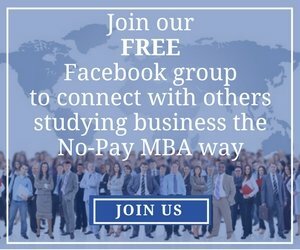 Check out the No-Pay MBA calculator if you want to know whether a No-Pay MBA makes financial sense for you. Reason #3: The content of an MBA is valuable with or without the degree! How cynical are we if we can’t see that the education itself has value, whether or not you get the piece of paper to prove it? In my view, what you get at a traditional business school has three components – the educational content, the network, and the degree. It is probably true that of those three, the slice that makes up the smallest share of the total price tag of an MBA is the educational content (which would help to explain why some top business schools are willing to give away their courses for free). Still, I believe that education has intrinsic value. And business education has more than intrinsic value. 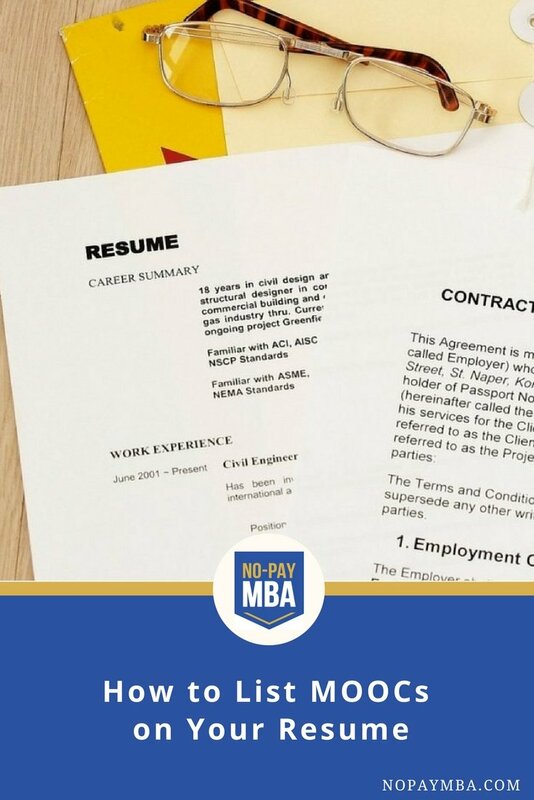 Ask me how much my No-Pay MBA was worth after the next time I conduct a salary negotiation using what I learned in Successful Negotiation. My No-Pay MBA did earn me a promotion and a sizeable raise. I was also able to start putting my new skills into practice immediately on the job, bringing additional value to my employer right away. Reason #4: An MBA isn’t usually required. For many jobs an MBA is a “nice to have.” In only a few jobs is it a “must-have.” Marketing strategist Dorie Clark recently wrote an article for the Harvard Business Review titled “Do You Need a Formal Degree, Or Will a MOOC Do?” As Clark points out, “having an MBA may be considered a selling point, but it’s rarely required for a particular job.” She goes on to say that in industries in which MBAs are relatively uncommon, getting one may be “overkill”, especially when there are other options for acquiring the skills that are valued in your industry. Reason #5: The MBA is no longer the only credential in town. The MOOCs platforms are hard at work creating credentials that will hopefully have real value in the job market. So-called “microcredentials” encompass many kinds of credentials that are less than a full degree, including verified certificates of completion from the MOOC providers, Udacity’s Nanodegrees, and edX’s MicroMasters, among others. EdSurge recently reported that these kinds of credentials are proliferating. During my studies, I earned many MOOC Statements of Accomplishment, some of which I display in my portfolio. So yes, I took a risk by getting a business education that didn’t result in a degree. It cost me much, much less than a traditional MBA would have, and it paid off in both financial and personal ways. What about you? Do you think a business education can be “worth it”, even if it doesn’t result in an MBA degree? So you’ve finished a slew of business MOOCs. You’ve balanced T-accounts, analyzed throughput, calculated the net present value of an annuity, and considered the finer points of project management. Now you’re ready to leverage your new skill set in your search for a new job. What’s the best way to put a MOOC business education on your resume? How do you showcase your MOOC coursework on your resume? I’ve been asked this question many times – in comments on the blog, in emails from readers, and in interviews with the media. 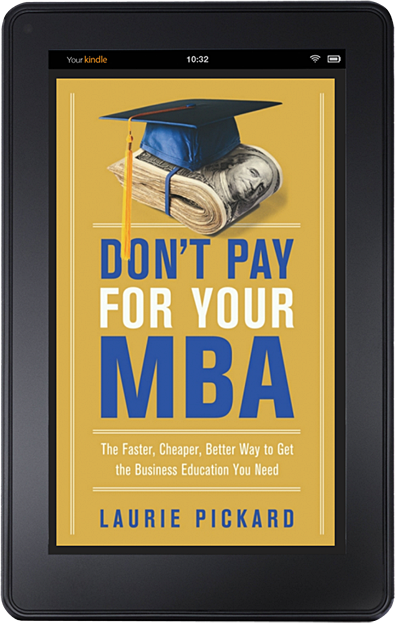 It’s also a topic I cover in my new book Don’t Pay For Your MBA. Fortunately, there is no single right way to put MOOCs on your resume. My high school English teacher used to say, “All writing is creative.” While your resume should be based in fact, not fiction, you can absolutely use some creativity when highlighting your MOOC-based business education. Below are four places MOOCs might show up on your resume. 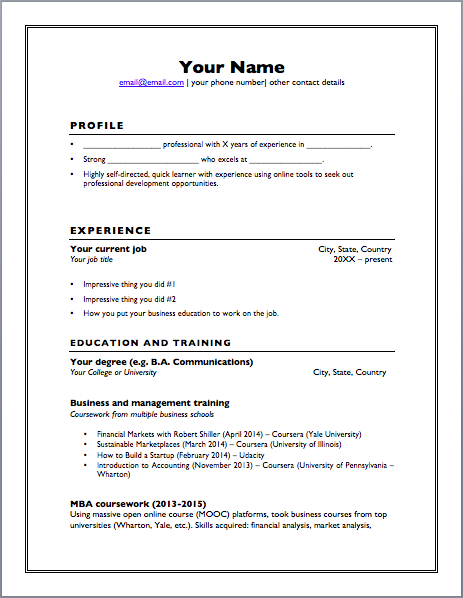 Be sure to download the free resume template that accompanies this post for more advice on how to showcase MOOCs on your CV. Not everyone uses a professional summary on their resume, but if you do, this is one place your MOOC education can appear in a subtle way. This allows you to start painting a picture of yourself as a self-motivated, self-directed learner. If you’ve used anything you learned in a MOOC to achieve real outcomes on the job, you should absolutely brag about that experience on your resume. When I’ve talked with recruiters about candidates who have used MOOCs to get ahead in the job market, they all say that experience is more important than education. So, if you got the education and it translated into direct experience, you should absolutely play up that experience. You don’t even have to include the name of the course you took. Instead, you can just focus on your accomplishments. This is where you’ll talk about your MOOC coursework most explicitly, by actually listing some or all of the courses that you took. 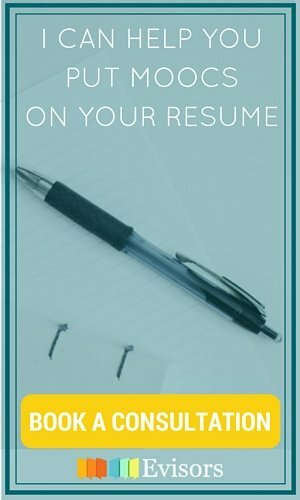 If you took a set of courses that you put together yourself, give your education a title - for example, “Advanced Business Courses” or “Master’s-Level Business Coursework.” (The resume template lists several options.) Then list the most relevant courses you took, including the universities that offered them and the dates you completed them. If you took a pre-packed set of courses, such as a Coursera Specialization or an edX Micromasters, you can simply list it. You might also want to include a sentence describing your education (many people are still unfamiliar with MOOCs) and include a few of the skills you learned. For example, you could say something like: “Using massive open online course (MOOC) platforms, took business courses from top universities (Wharton, Yale, etc.). Skills acquired: financial analysis, market analysis, business planning, product development. If you are listing individual courses, include only those that are relevant to your industry. And don’t list a lot of intro-level courses. Instead, focus on the most advanced coursework that is most specific to your job aspirations. Finally, you might include a special Skills section of the resume, where you list some of your more relevant business skills, including those that you learned in your MOOC coursework. Like the Professional Summary, this is a section of the resume that not everyone uses. If you choose to include it, make sure you aren’t simply repeating information from earlier in the resume. I’m interested to hear which of these options for listing MOOC coursework on a resume you find most appealing, as well as other ideas that I haven’t thought of, or any approach you are already using. And if you’ve managed to use MOOCs to score a new job, let’s hear how you did it! If you’re looking for affordable business education and credentials to show your skills, you may want to consider these options. First published May 17, 2015. Last updated November 10, 2016. This post contains affiliate links. I first published a version of this post just after the University of Illinois at Urbana-Champaign released their entire MBA program through Coursera and announced that you could earn a bona fide MBA degree from them via MOOC. Students would still need to go through the regular admissions process and be accepted to the business school, and they would pay $20,000 for verified certificates and other fees, but this was (and remains) the first full MBA available 100% through MOOCs. Since then, we’ve continued to see a proliferation of new business credentials that you can earn through online study, ranging from certificates for single courses to U-IL’s iMBA, with a lot of new options in between. While most of these credentials don’t enjoy the same level of recognition as a full-scale MBA, there is reason to believe that some form of credentialing could be valuable in the job search. And at a price many thousands of dollars less than a traditional MBA, the cost-to-value of these new credentials has the potential to be quite high. Here is a rundown of the current options for both degree and non-degree credentials when studying business online, in ascending order of cost. 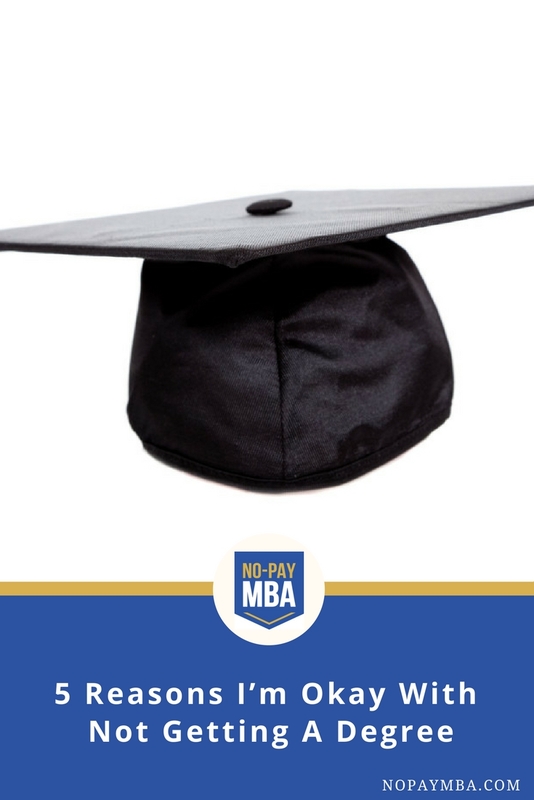 One of the newest and potentially most disruptive credentials out there is the Smartly MBA. This highly selective program admits just a few top performers (as demonstrated by prior work and educational experience) to earn an accelerated MBA in just 4 months. Content is delivered through an interactive app. While this is not a MOOC-based option, some of Smartly’s content is available to the public. Which is a good thing because only a small portion of those who are excited about Smartly’s free (though as yet non accredited) degree program will actually make it through the admissions process. When I first published this post, Coursera’s Specializations were new, and there weren’t very many of them. Now, you can find dozens of multi-course series on Coursera, typically consisting of 4-6 courses and a capstone project. The topics have gotten more specialized as well, including not just general business subjects such as financial management and entrepreneurship but also niche topics such as construction management and culture-driven team building. Coursera has also recently introduced a new subscription-based payment model (something I suggested a while back, though at a higher price than I proposed) for certain Specializations, with fees ranging from $39 to $89 per month. This might make some courses cheaper, though if you tend to procrastinate it could also make them more expensive. While the value of Specializations in the job market is still relatively unknown, recruiters do report that they are seeing MOOCs on candidates’ resumes and that they generally view them positively. This might make some courses cheaper, though if you tend to procrastinate it could also make them more expensive. The newest credential on the block is the MicroMasters, offered through the edX MOOC platform. As its name suggests, a MicroMasters involves master’s level coursework, but in a shorter, more condensed program. The first MicroMasters was created by MIT in the field of Supply Chain Management. The new crop of MicroMasters includes programs in Project Management, International Business Management, and User Experience Design, as well as non-business fields. The big advantage of the MicroMasters is that they shares a direct linkage with traditional master’s programs, allowing students who choose to do so to enter directly into a degree-granting program, with their MOOC coursework counting for credit towards the overall degree. Overall, the value to cost of a MicroMasters makes it a very promising option. Harvard Business School’s Certificate of Readiness (CORe) is an interesting one. Harvard being Harvard, the business school has created its own platform, HBX, through which to deliver a small set of business courses. CORe is a sort of mini-MBA, covering just the foundations of an MBA program, designed for people with no previous business background. The big advantage of this program is the Harvard name. There are a few attractive features of CORe. First, having a credential from Harvard, even if it isn’t a full degree, is bound to be worth something. If you can get the Harvard brand name onto your resume for $2000, even when other more affordable options are available (such as the Wharton Business Foundations Specialization), it might well be worth the price. Second, the HBX is more interactive than many of the MOOC platforms. It still operates on cohorts, and it has an admissions process. Admitted students are invested in the program and the level of engagement is high, which translates to added networking benefits. Finally, HBX also offers an option to take CORe for credit. The price of the for-credit option is double, at $3600, but it could be a good option if you’re planning to do a full-scale MBA in the future. Many professional business certifications are available online, most of them offered through professional associations. Organizations like the Project Management Institute, the Institute of Management Accountants, the Information Systems Audit and Control Association, and many others all offer professional certifications. The advantages of these professional certifications is that they are very specific, and many are very well-recognized within their industries. The disadvantages are that you typically need to already be a practicing professional in order to reap the benefits of the certification, or even to become certified. Being so specific, these narrow credentials aren’t as versatile as an MBA, but within their respective industries they can be just as valuable. Several online-only universities offer low-cost MBA programs targeted towards working professionals. These include Western Governors, Capella University, and Excelsior College. All of these institutions allow students to study online at their own pace. Western Governors is a competency-based program, meaning that degrees are conferred based on the completion of projects. The advantages of these programs are the flexibility, the cost, and the fact that you can earn an accredited degree. The disadvantages are that if you take longer than expected to finish, you may end up paying more. And even though the degrees are accredited, the reputations of these schools aren’t as strong as, say, the University of Illinois. As mentioned above, the University of Illinois is the first business school to offer a degree based on MOOC coursework. The big advantages of this program are the significant savings over other online programs, the flexibility of the program, and the reputability of the final degree. Downsides? $20,000 is still a lot of money, you’ll have to go through the admissions process and be accepted to the program, and you might still be missing out on some of the in-person benefits of an MBA. Still, if you need the degree and can afford the tuition, this is a great option. Most of us are familiar with online MBA programs. Many universities offer online MBAs. The advantage of these programs is that they are just as well-recognized in the job market as brick-and-mortar MBAs. The downside is that the cost is equivalent – and sometimes greater – than what you would spend on a traditional, on-campus MBA program. 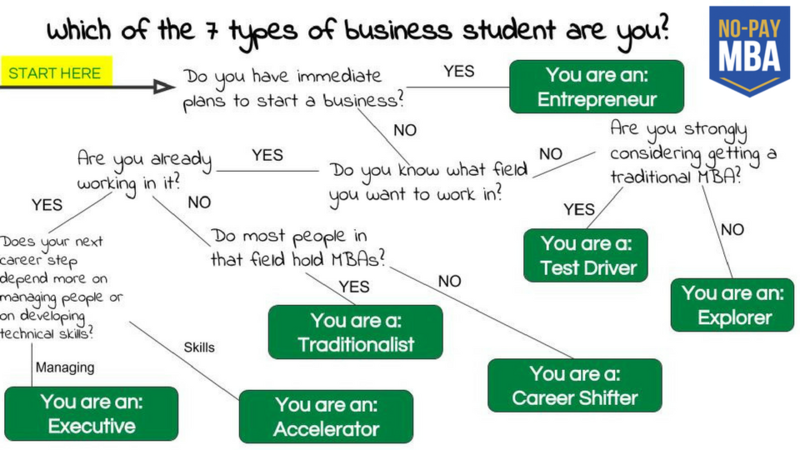 Which of the 7 Types of Business Student Are You? Find out which type you are and get targeted recommendations on how to study. When I first started the No-Pay MBA website - and my quest to get a business education with free tools - it was all about replicating the full MBA, course for course, internship for internship. I wasn’t interested in anything less than the complete MBA experience. But in working with business students through the No-Pay MBA Network, I’ve seen people approach their business educations in a variety of different ways. While there certainly are people who can benefit from the deluxe business school curriculum, it is no longer the only approach I recommend. In fact, I’ve seen people experience career-changing benefits just from taking a single course. Through this work and my conversations with independent business students, I’ve identified at least seven different approaches to business education. The chart below can help you figure out whether one of them applies to you. Figured out which type you are? See below for course recommendations and study tips for each kind of business student. Also, note that most of the courses I recommend are available to audit for free (that means no certificate and in some cases no quizzes or assignments). If you’re wondering how to audit a class on Coursera, check out this short video. Note: This section contains affiliate links. 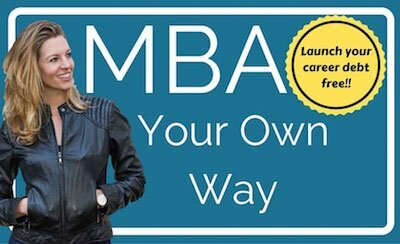 You aren’t sure where your career will take you, and you are seriously considering whether to get an MBA. Sure, an MBA can be a solid bet — but are you really ready to go tens of thousands of dollars into debt? If you’re on this website, then you’re probably having some doubts. If you are a Test Driver, then please do yourself a favor and take a few months to figure out two things BEFORE you commit to an education that will have you paying loans for the next 15 plus years. Those two things? 1) the shortlist of careers you might like to pursue, and 2 ) whether an MBA is required for you to get a good job in one of those careers. Before you drop a hundred thou on tuition, you should be pretty clear on both points. MOOCs are a key starting point in your research. By “test driving” the MBA, you can figure out if b-school is really for you. Bonus: some schools are even counting MOOC success towards the application process. The Business Foundations Series from the Wharton School of Business is a great place to start your business school journey. Foundations of Business Strategy is another of my all-time favorites. It will give you a feel for the analytical work performed by management consultants. You can find more course recommendations for Test Drivers in this article I wrote for The Daily Muse. Outside the classroom, Test Drivers should focus on conducting informational interviews with people in their industries of interest. If you don’t have anyone in your personal network in the fields you’re considering, check out a site like Evisors, which allows you to schedule short conversations with industry experts. By “test driving” the MBA, you can figure out if b-school is really for you. You are at a mid-career level (or higher) and working in a field you enjoy. You might have started out in a technical role, like Nick, a medical device engineer, did.The next move, however, will require you to manage a team of people. Perhaps you’ve already been promoted to a managerial position in which you’ll be managing people for the first time. Yikes! Are you ready for it? Thankfully, Coursera has you covered with some great resources to get started managing people. You may want to start with a series like this one from the University of Minnesota on how to be a better manager of people. Another great source of courses for you is the curriculum of the iMBA. This innovative program from the University of Illinois is literally an entire MBA, delivered via MOOC. You can do the degree program for $10,000 or cherry pick the content you need for free. Yep, that’s right. An MBA for free (no degree though). Start by checking out their Strategic Leadership and Management Specialization. Finally, the University of Michigan offers a series of courses on Leading People and Teams. And this series comes with some extra sweeteners for top-performing students, including credit toward a Distinguished Leader certificate from the Ross School of Business, office hours with faculty, and a LinkedIn endorsement from the Ross faculty. This article by Ed Batista on how great coaches ask, listen, and empathize, along with the syllabus of Ed’s course at Stanford on self-coaching. Brené Brown’s TED Talk on vulnerability. This powerful and entertaining TED Talk is a great introduction to the importance of self-reflection and emotions, even in the world of work. The single best talk on management I have ever seen, delivered by Kim Scott. Describes how and why bosses should employ radical candor. Seriously, just watch this. Like The Executive, The Accelerator is content to remain in the field in which she currently works. Unlike The Executive, however, her focus is on building her repertoire of technical skills. Are there people who are both Executives and Accelerators? Absolutely! My advice to Accelerators is to pick a specific area and take several courses on the same topic. For example, if you are a marketer, you might want to go deep on digital marketing, taking a series like the University of Illinois’s popular Digital Marketing Specialization. Or maybe you’ve discovered that an advanced understanding of quantitative analytics is the key to your move up the ladder. In that case, you might want to check out this series on Data Science and Analytics, or this one from Wharton on Business Analytics. More and more, the content you can find in MOOC form is exceedingly high quality and of professional caliber. For example, you can study supply chain dynamics with MIT or earn a professional certificate on mergers and acquisitions, both through the edX platform. See if you can be included as a member of a project team that is doing interesting work, or fill an interesting gap on your team. My husband isn’t a business student, but he did take a series of MOOCs relevant to his field of international development. The courses taught some cutting edge techniques in program evaluation. As a result of expanding his repertoire, he was able to take on some special projects in the office. The Traditionalist may have the most difficult task of all the types. He is trying to orchestrate a career move into a field that is dominated by MBAs. In fact, depending on his prior experience, he may find that in order to make that move, he needs to get a degree himself. His best bet is to combine the strategies of the Test Driver and The Accelerator (above). That means taking a broad range of MOOCs to build a strong foundation in business, as well as building some additional technical expertise. He’ll also want to be sure to make a habit of conducting informational interviews to expand his network. With some luck, he may be able to avoid having to shell out for the degree. The Career Shifter is in a similar situation to the Traditionalist, with the extra advantage that her field of choice is not dominated by MBAs. That means that by arming herself with an advanced understanding of business, she differentiates herself from the competition, instead of merely keeping up. In my view, these are the two types for whom a traditional MBA degree makes the most sense. Both of these types should make a concerted effort to do volunteer work or internships in the field they’d like to move into. The key here is to establish a track record in a new area, allowing you to make a lateral move. Developing a portfolio of work is all-important, as is growing your network in your new field. Internships and volunteer projects accomplish both. If you are an Explorer, you may crave the kind of career transformation that an MBA can help you orchestrate. Yet, having weighed the cost of the degree against its benefits, you’ve come to the conclusion that a $100,000 bet on an unsure thing is simply too large! You’re not sure what you want to do post-business education. What if you realize that your passions do not lie in high-paying business fields, but rather in social entrepreneurship, international development, nonprofit administration, or government? You are wise to explore your options without adding a massive debt burden to the equation. What if you realize that your passions do not lie in high-paying business fields, but rather in social entrepreneurship, international development, nonprofit administration, or government? The Explorer uses his business education as a way of figuring out what to do next. Many Explorers already have significant career experience and may already hold an advanced degree. All the more reason not to go back to school full time and at full expense. Like the Test Driver, you’ll want to start by studying the fundamentals - topics like marketing, finance, operations, accounting, and management. After that, study widely! For The Explorer, the greatest things about MOOCs is the variety and the low cost of trying them out. Think you might be interested in running a hotel one day? Take Cornell’s course on Hotel and Hospitality Management. Always wanted to understand the music business? Try this course from Berklee School of Music. Curious about quality improvement? Study Six Sigma. Eventually, through study and reflection, you will probably wind up in one of the other categories of business student and can plan out a next step. I saved The Entrepreneur for last because it is unique among the types of business student. I’ve heard entrepreneurship described as jumping off a cliff and trying to build a plane on the way down. It can certainly feel like that. If you haven’t yet started your business - or if you don’t even have a clear idea yet of what kind of business you want to start - take your time and give yourself the gift of a few months of MOOCs on general business topics, including entrepreneurship. Once you gear up to launch you’ll be scrambling to learn whatever necessary to make your business work. When you’re an entrepreneur you end up being the chief, cook, and bottle washer. Translation: anything that needs doing, you’ll do it. Need a logo? You’ll study branding. Building a website? You’ll learn WordPress. On-demand is the name of your game. Are you an Entrepreneur? On-demand is the name of your game. My longtime favorite MOOC on entrepreneurship is Steve Blank’s course How to Build a Startup. My new favorite course for entrepreneurs is Chris Haroun’s course on Udemy. This course is a must take, especially if you might one day seek funding for your business. In general, if you are an Entrepreneur, Udemy is your friend. This platform has inexpensive, practical courses on every topic imaginable. Here’s one for designing that logo and another for building your website. Use this link to get 30% off any Udemy course during the month of July. Need more MOOC recommendations? 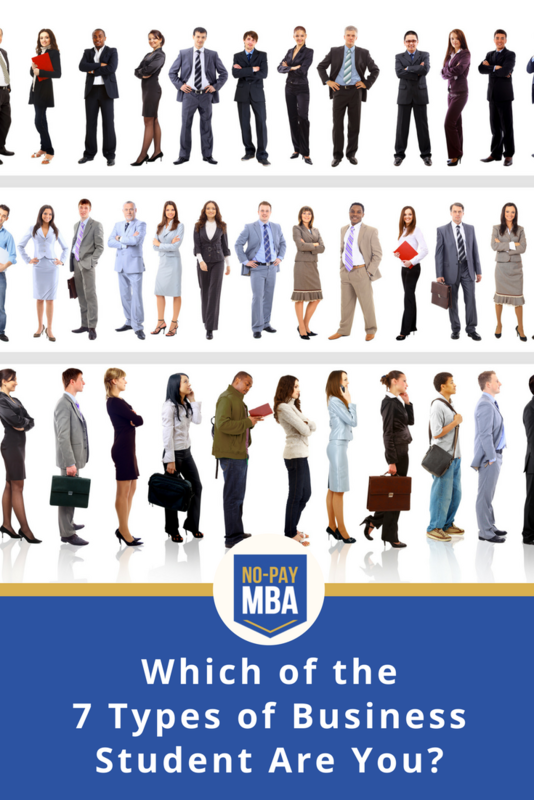 Grab a copy of the No-Pay MBA Handbook and Current Course List. We’ve all been there. You’ve signed up for an online class that you’re super psyched about. You’re finally going to learn to code, or there’s a new design program you’re going to master. Perhaps like me, you’ve got one more finance class to take before you’ll feel fully finished with your MOOC-based business education. But you keep putting it off. Perhaps you manage to log into the course and get started, but halfway through the first video lecture, you notice that a new email has arrived in your inbox or someone has PM’ed you on Facebook. Before you know it, you’ve been sucked into the vortex we call the internet, the video lecture is over, and you have no idea what the professor said. I have finished over 25 MOOCs and other online courses as part of a project to do an extremely low-cost MBA equivalent, so I know what it means to drive back the dragon of distraction. I am also the learner-in-chief of the No-Pay MBA Network, a diverse group of professionals, all pursuing business studies using the tools of the world wide web. Recently, I asked my community to help compile a definitive list of all the tips, tricks, and hacks that they use to stay on task while studying online. Here is what we came up with. 1. Maximize the course video. A simple but effective way to minimize distraction. 2. Close all other windows. More aggressive, but may be necessary. 3. Log out of you email and social media. And while you’re at it, make sure you disallow these programs from sending you notifications even while you’re not logged in. Same goes for for your smart phone. 4. Put your phone on silent - and maybe put it in another room too. 5. Mark study times on your calendar. Then treat them like a real commitment. 6. Set reminders on your calendar and your phone. Don’t forget that you’ve set aside time to study! 7. MOOC at work - but only with your boss’s permission. Many supervisors will applaud your efforts at self-direction professional development. Some will even pay for your course certificates. 8. Use noise-canceling headphones. Block out audible distractions and stay focused on the task at hand. 9. Listen to music that helps you concentrate. Many learners use this method to keep their minds from wandering. 10. Pimp your study space. Make your study space comfortable and enjoyable to be in. Post images in your field of vision that will inspire you to succeed. 11. Close your door. Simple but effective. 12. Tape a goal to your workspace. Having a written goal in plain sight in your workspace can help you keep your eye on the prize. 13. Exercise while MOOC-ing. But be warned, it only works if you’re just listening to a lecture and don’t need to take notes or work on practice problems. 14. Stand up or move away from the computer. Again, if you don’t need to simultaneously work on problem sets or answer quiz questions, it can help to move out of reach of your keyboard to avoid any lingering temptation to see what’s going on in other browser tabs. 15. Reward yourself for completing small tasks. One completed lesson = one hilarious cat video. 16. Pay for the course certificate. According to the MOOC providers, people who pay for a course certificate are more than ten times as likely to finish the course. 17. Log your accomplishments. Whether you display your certificates on your LinkedIn profile or on an educational portfolio, or even in a private list, make sure you’re tracking your success. 18. Announce your intentions publicly. When you register for a new course, post about it on Facebook, tweet it out on Twitter, and mention it to friends and colleagues. 19. MOOC as a reward for finishing less pleasant tasks. Rather than thinking of MOOCs as yet another to-do on your list, use your coursework as a reward for completing a difficult or unenjoyable task. 20. Use the Just Start technique. This simple technique says that if you simply take the first step, you are much more likely to continue. What is the easiest thing you can do to get started? Open the webpage, log in, or read through the syllabus. Or just open the first lecture and let it load. When you use the Just Start technique, you may be surprised to see that after you Just Start, it’s easier to Just Keep Going. 21. Get dressed for work. A way of getting your professional game face on and keeping you serious, focused, and on-task. 22. Give yourself small assignments. Like the Just Start technique, when you break up the work into very small assignments, like watching a single video or completing a single quiz, you can easily finish a course with just a few minutes of work per day. 23. Become part of a study group. A powerful and proven motivator. Find a study group in the course discussion forum or bring your own to the course. 24. Get a MOOC mentor. Some newer services, like Mentive, are springing up to offer mentorship for MOOC students in particular courses. 25. Find a study buddy. Meet someone in the course discussion forum, or sign up for a course with a friend. 26. Get an accountability partner. This is a great technique for staying motivated. All you need is a friend or relative who is willing to check in with you once per week, and listen while you list your goals for the coming week and your accomplishments over the previous week. 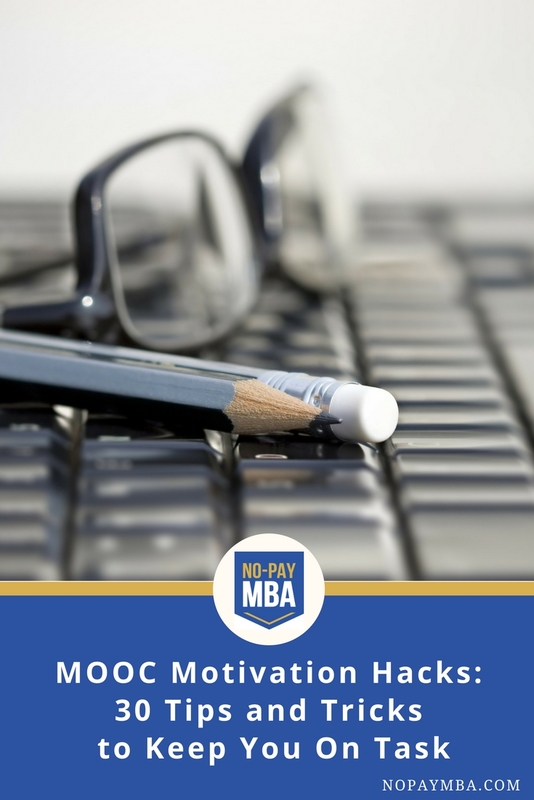 These tips were most frequently mentioned and upvoted by the members of the No-Pay MBA community. 27. Use the Pomodoro technique. Similar to the Just Start technique mentioned above, the Pomodoro technique teaches you to work in a series of 25-minute intervals by setting a timer and actually stopping to take a break when it goes off. That way, your MOOC coursework is more approachable, since you only have to put in the effort until the timer tells you to quit. And you are able to more fully integrate the knowledge by vacillating between the focused and the diffuse modes of thinking. This technique is covered at length in the extremely popular MOOC Learning How to Learn. 28. Listen to scientifically designed concentration music. Concentrate more deeply than with regular music by listening to tracks that have been specially designed to put your brain in a heightened state of focused awareness. [email protected] is one such service. 29. Crank up the speed. MOOC platforms like Coursera and edX allow you to set the playback speed. Multiple people recommended making the professor talk just fast enough that you have to pay close attention to keep up. 30. Take notes. By far the most highly recommended way to stay on task. Type notes in a second window, draw them on a tablet, or keep a pencil and paper next to your computer, because even in this new world of online learning, nothing beats old-fashioned note-taking. What are your MOOC motivation tips? Share them in the comments below. This article originally appeared on Class Central.